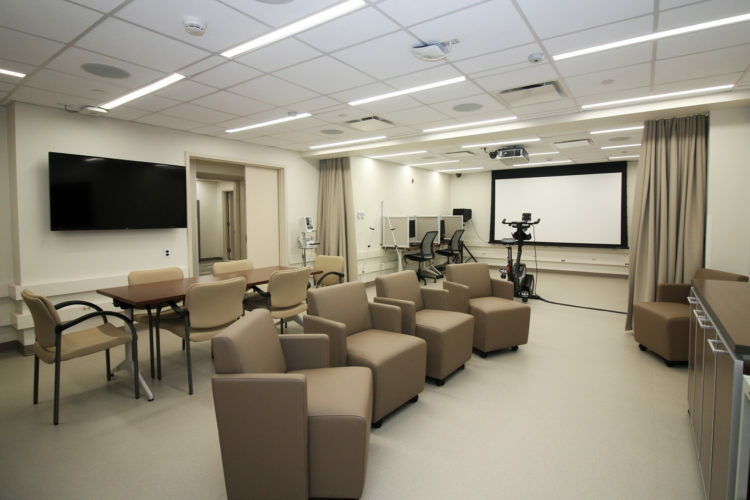 The Sleep and Chronobiology Lab is a unique research space where investigators observe and analyze the human body’s adaption and performance over time in stressful environments. 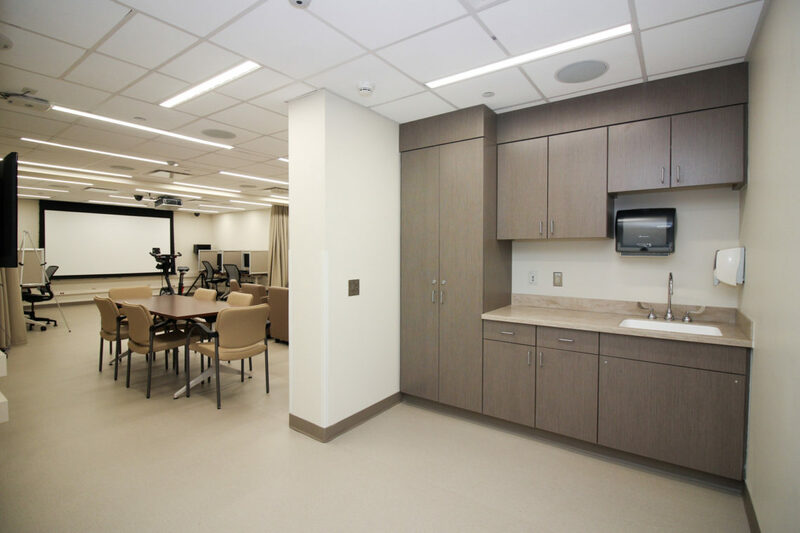 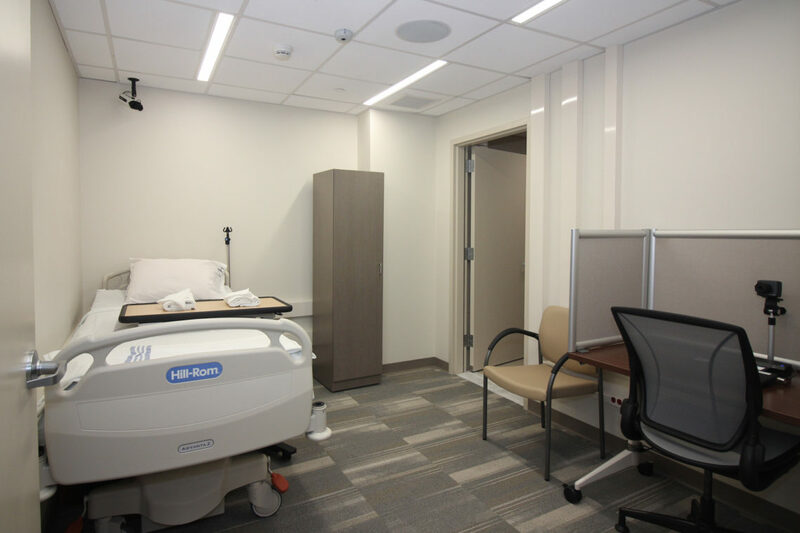 To create research conditions, rooms within the suite are thoroughly sound and vibration isolated, and have individual environmental and lighting controls with a wide range of possible temperatures, luminance and color spectrum compositions. 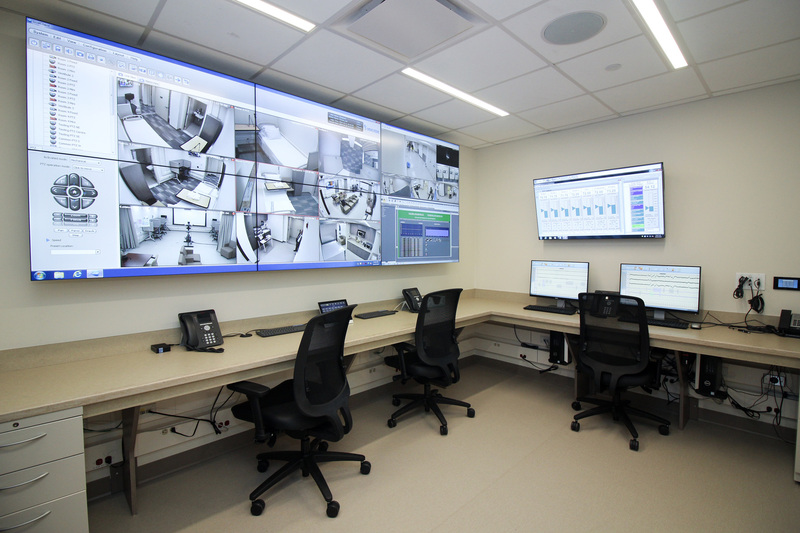 A sophisticated audio-visual system is integrated into the living spaces to provide data monitored in the Control Room.